If you love to wake up on a crisp spring morning to the oak ridges coming alive with the earth shattering gobble from a mature "Tom" turkey...have we got something for you! Razorback Guide Service owns and operates on over 2,700 acres of farmland with exclusive hunting rights for our clients. This land contains a number of mature gobblers. 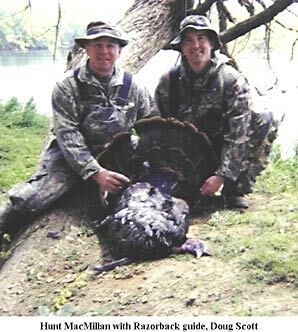 Our experienced staff will guide you on your hunt and do all the calling for you. You should be in good shape since you will likely "run and gun" to get in front of the birds as they make their way through the woods in search of the ladies. 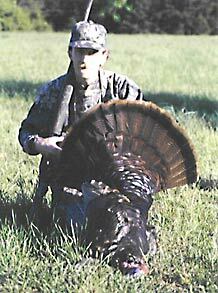 The Spring Gobbler Season in Virginia runs from mid-April to mid-May. Book your hunt now for best availability on this quality privateland hunt.